We’ve also been working to widen the reach of the Streamr stack. Jarno Marttila from Labs has been working on an integration with IBM’s Node-Red. If you haven’t seen it already, please check it out here. For those of you with sharp eyes, you will have seen our first Gitcoin bounty calling for submissions for our Python library. Well the work is almost done, and we will be releasing this in MVP form very soon, to help the data science community to utilise our stack. In the middle of the month, we were at ETHDenver releasing the cool payment distribution side-chain called Monoplasma we developed into the wild for anyone to use. We’ve been really pleased with the reception so far. 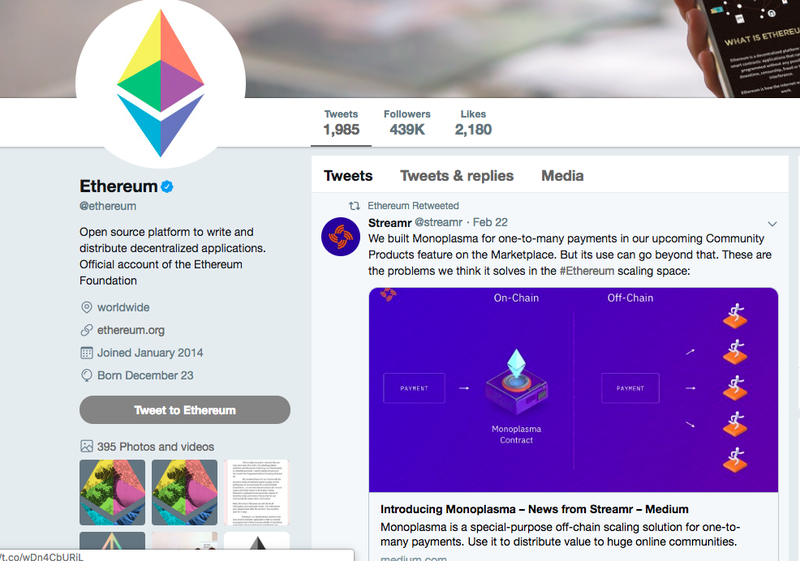 CoinDesk covered the release, and the Ethereum Foundation also gave it a push. Since then, we’ve had interest from many prominent teams and it’s been forked five times already. From our side, there’s still quite a bit of work to do before Monoplasma is fully integrated to our Community Product offering, but having a system where we can easily make micropayments to millions of people ensures Community Products, and the new data economy we envisage, has a great chance of viability. On the Engine & Editor side, we are really excited to be releasing the new user interface, first mentioned back in December. It is not simply an aesthetic revamp, there will be some substantial UX improvements on offer that will, for example, simplify the overall management of streams and canvases. In addition, the new website will have a revamped developer documentation!